VLADIVOSTOK, September 13. /TASS/. Participants of the Eastern Economic Forum in Vladivostok signed 175 agreements for a total of 2.9 trillion rubles ($42.07 bln), Russian Deputy Prime Minister and Presidential Plenipotentiary Envoy to the Far Eastern Federal District Yury Trutnev told reporters on Thursday. "As of 9:00 (local time), 175 agreements were signed for of 2.9 trillion rubles ($42.07 bln). If we recall the figures of the previous forums, at the first forum the figure reached 1.3 trillion rubles ($18.86 bln), the second - 1.8 trillion rubles ($26.11 bln), the third - 2.5 trillion rubles ($36.27 bln)," he said. According to him, agreements on establishing mining and industrial enterprise based on the Baimsky ore area in Chukotka, Asian investment fund GenFund investing in the Far Eastern projects of the Russian agroholding Rusagro and the Nakhodka fertilizer plant, deliveries of 100 SSJ-100 aircraft to Aeroflot, construction of a terminal for Novatek LNG transshipment at Bechevinskaya Bay in Kamchatka were among the most important at the Forum. 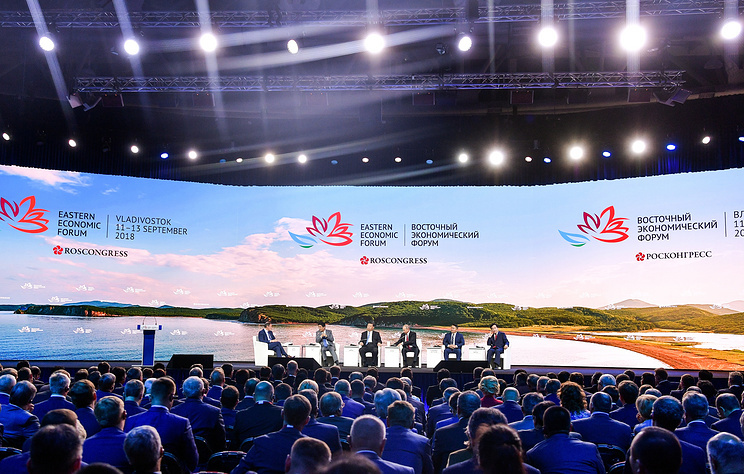 More than 6,000 delegates visited the Fourth Eastern Economic Forum with 100 business events, Trutnev told. "Within the framework of the forum, 100 business events were held with four main thematic sections: investor support tools, sectoral priorities of the Far East, global Far East - international cooperation projects, and creating conditions for human lives … 6,002 delegates and 1,300 representatives of mass media participated in the conference," he said. The fourth Eastern Economic Forum is taking place from 11 to 13 September in Vladivostok.